Rowing scholar Jake wins bronze! We are very proud of Jake. 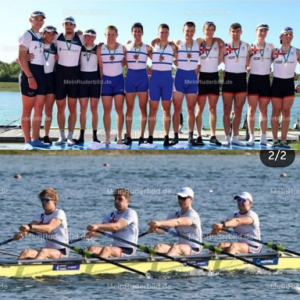 He represented Great Britain in Munich at the weekend, and he and his teammates won bronze in the quad rowing. Jake is third from the right in the top photo.